Noi – Exclusive mix for bejbi.se. The 24:th of our series of exclusive mixes..
Click ”see the rest of this entry” to read more about Noi and download the mix. Daniel ”Noi” Friberg is born in the fabulous year of 1982 and raised in a home full of music. With his father being a musician, Daniel himself studying in a music school for six years. His interest in DJ:ing came as early as 7 years old, when he entered the booth at the school disco, playing records and keeping the very young crowd alive. Growing up in the early 90’s, he was of course heavily influenced by the great Eurodisco era, later evolving from the handbag-bubblegum-sound of 2 Unlimited or E-type towards the heavier sound of Antiloop, Ferry Corsten and Armin Van buuren. One of the musical highlights of his life so far, was when he first came to Berlin in 2000, and not knowing really what it had in store for him, he visited Love Parade and he were suddenly in an immense crowd of more than 1.3 million people, all united under the musical soul of trance. Coming from the way northern town of Uppsala in Sweden, meeting and talking to other people whom also loved the sound of electronic dance music; in all of its forms; was a rare eye-opener and an new experience, only serving to further boost his efforts and love for the scene. Discovering the darker and more hypnotic sides of electronic music, he began to dabble in the dark arts of Psytrance, discovering and idolizing artists like GMS, Alien Project and the likes as such. Collaborating with his friends Tarek Mansour and Jonas ‘Berre’ Andersson, they started Club Circle. Being a Founder of the club, he landed a Residency, which lasted more than 2 years. When Club Circle finally came to an end, other gigs was lined up for him to enjoy, employing a great sense of direction, massaging into the crowd the feelings of euphoria. Among these gigs, Club Wicked, arranged a great party, renting an ocean liner in 2006, to host a great party for several days, was probably the one Daniel enjoyed the very most of. Even though he mostly entertained the crowds using only psytrance, he never limited his own musical preferences to just the dark vibrating tools of psytrance, always having a plethora of euphoric and melodic trance to carpet his home. 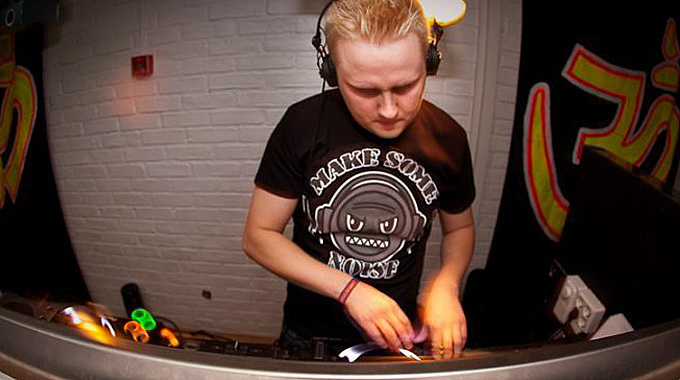 As a longtime fan of trance in all its forms, this has led him to start dabbling in his own productions. Now, after more than 2 years has passed, his producing skills stands stronger than ever, especially after his recently found collaboration in Future Sound Of Sweden producer 2BIAS/TrueNorth, churning out energetic material whilst beaming of joy! Now he is the 24:th out for a series of exclusive mixes recorded for bejbi.se by our favorite dj´s, both well known, and unknown, that we will publish once a week untill we run dry. Download Noi´s Exclusive mix here (right click and save as) or listen to it live on Soundcloud or just press play below here. If you want more of Noi, check out his facebook facebook.com/djnoi for more info. 2 Responses to " Noi – Exclusive bejbi.se mix "
Newest member of the FSOS family!